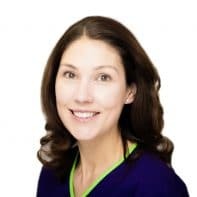 Christine is a Consultant Embryologist with over 10 years experience in the field. She joined the Hull IVF Unit in 2006 and is responsible for managing the Embryology Laboratory and team. In addition she is the Quality Manager. She is one of less than ten UK Embryologists to attain Fellowship of the Royal College of Pathologists in addition to state registration with the Health and Care Professions Council and Chartered Scientist status with the Science Council. She is committed to enhancing the development of the service offered to patients and furthermore she hopes to promote the understanding of fertility issues and the identification of ways of improving treatments. It is for this reason, that in addition to her clinical role in the laboratory she is actively involved in research and lecturing at the Hull York Medical School. Her research interests focus on lifestyle factors, principally obesity and it’s subsequent impact on the biomarkers of embryo health and developmental potential. As an executive committee member of the British Fertility Society and professional development committee member for the Association of Clinical Embryologists, she is instrumental in directing future practice and running the continual professional development scheme for embryologists in the UK.